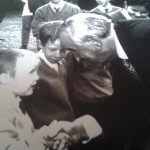 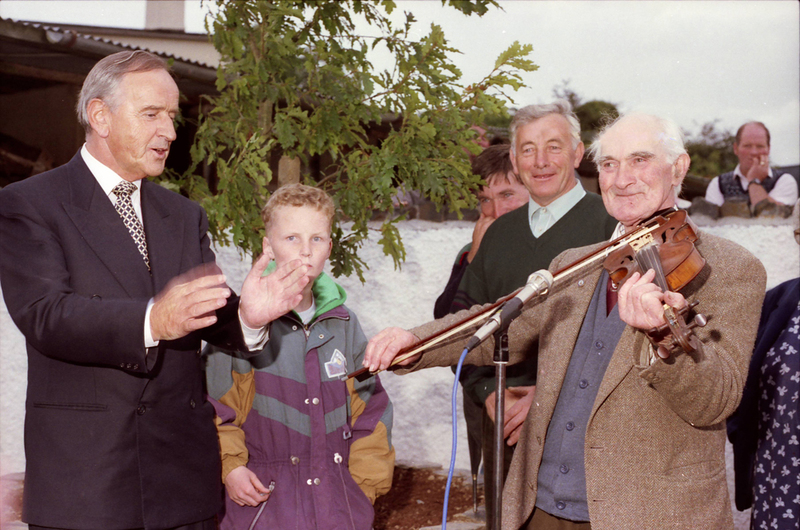 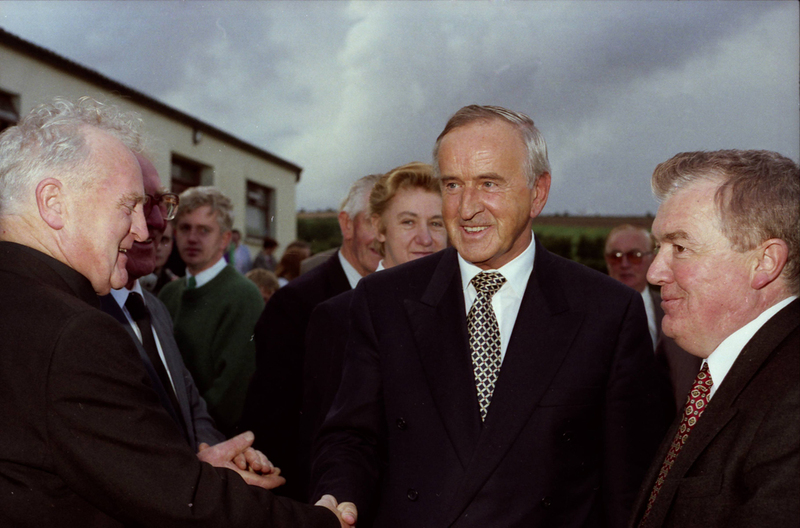 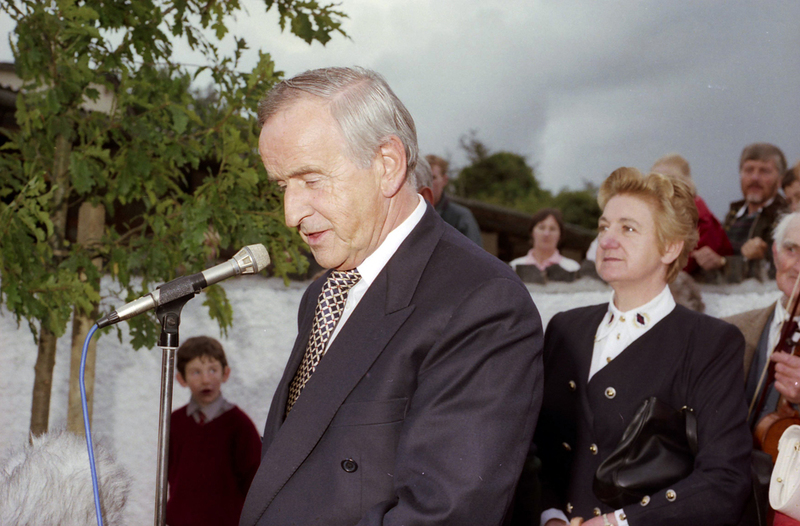 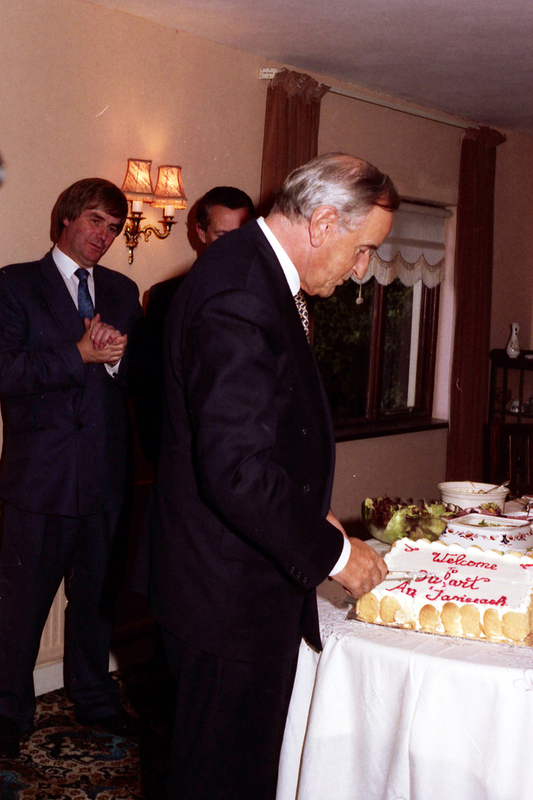 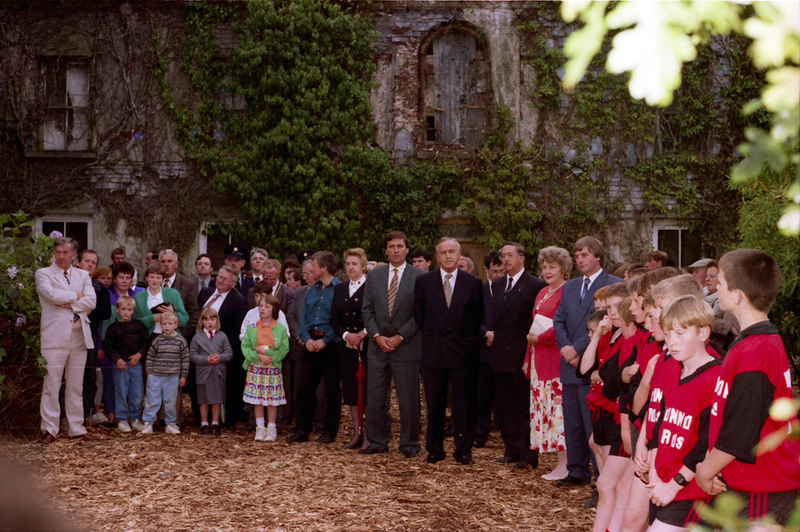 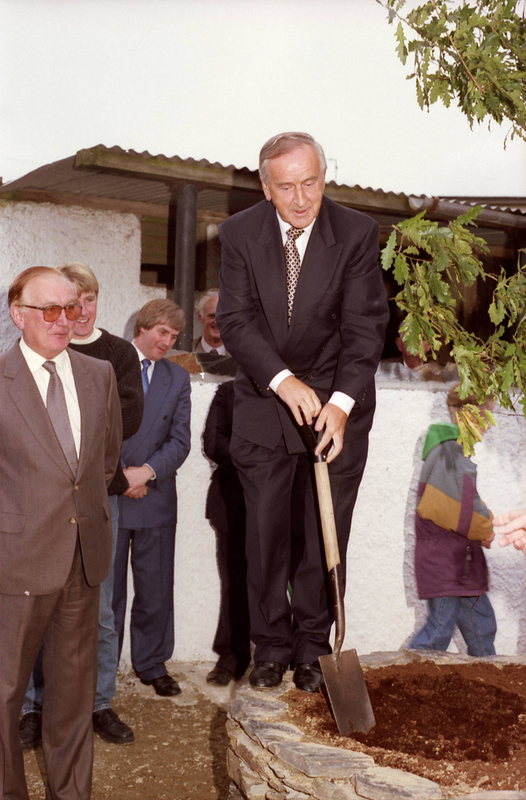 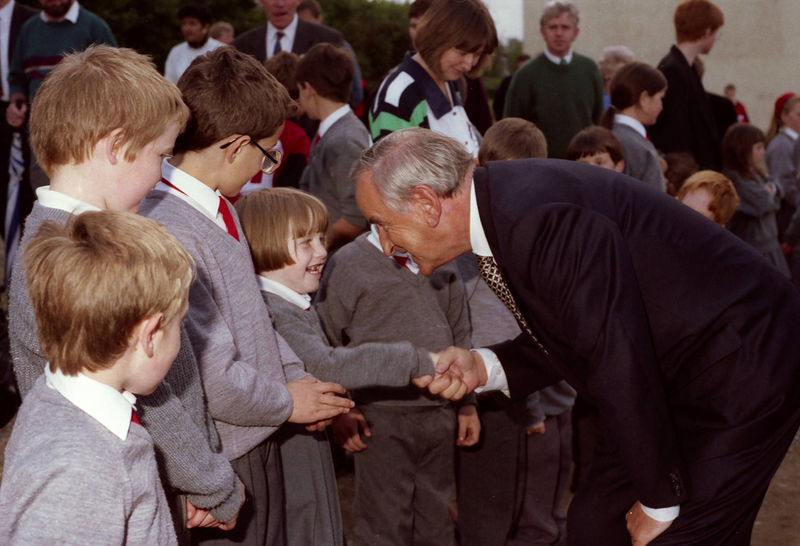 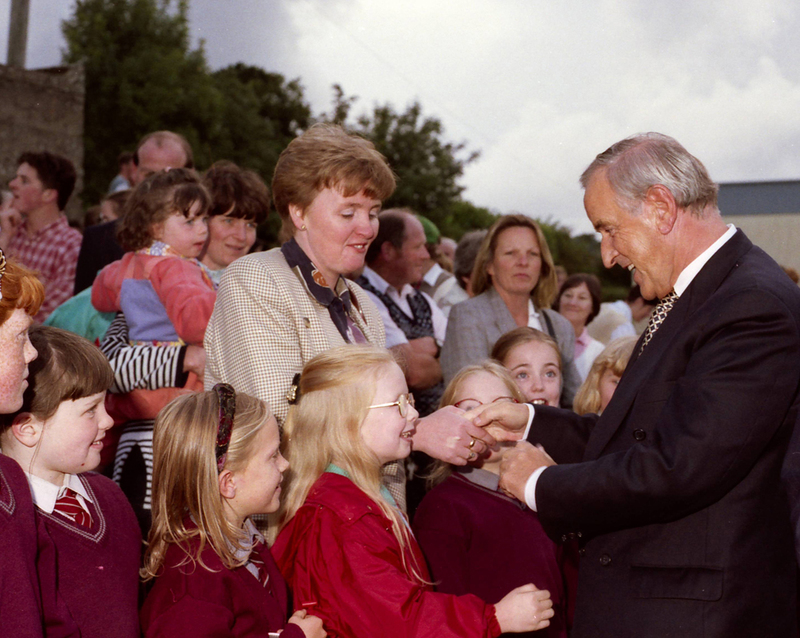 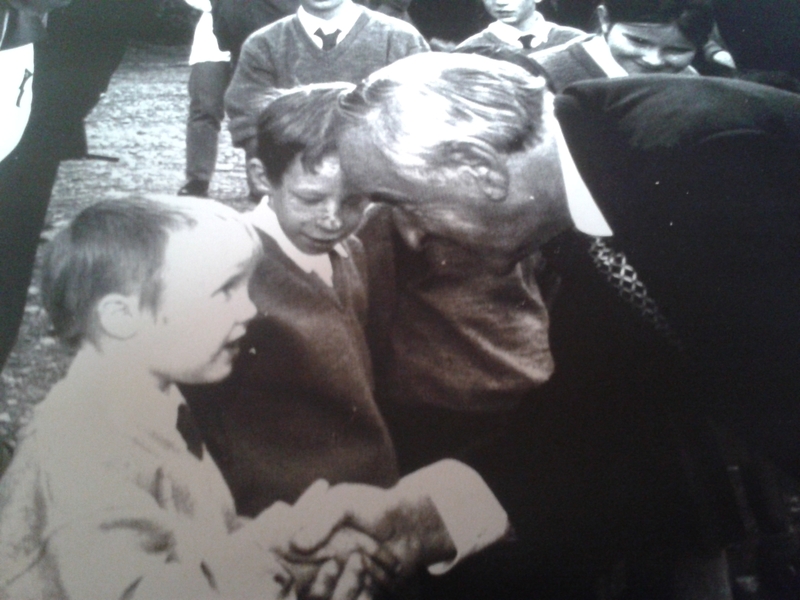 Albert Reynolds, Taoiseach (1992-1994) during the opening of Tulach a’tSolais meeting a younf Eamon Murphy. 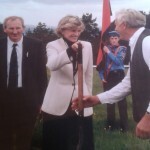 Jean Kennedy Smith turns the first sod of Tulach a’tSolais. 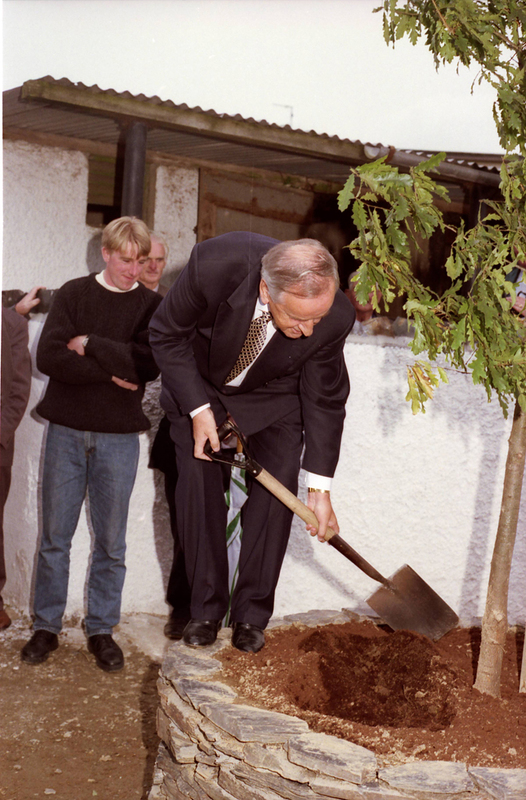 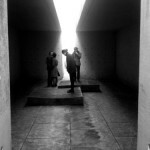 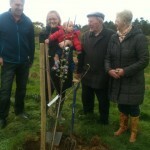 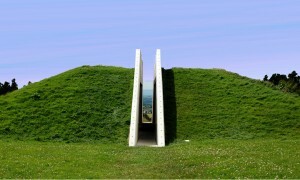 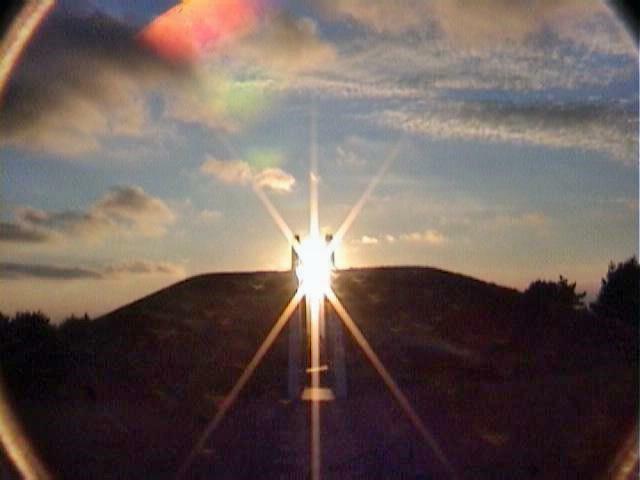 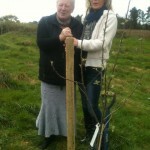 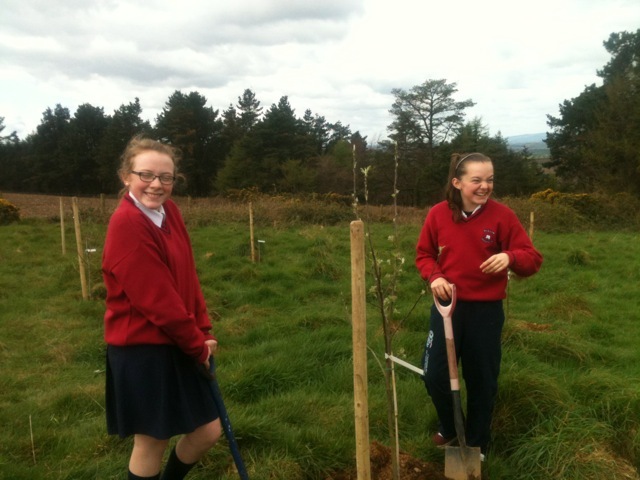 On April 10th, 2014 a significant event took place on Oulart Hill with the planting of groups of nine trees of nine ancient Irish appletree varieties to form what must surely be a uniquely authentic celebration by a small rural communtiy of its own ancient local placename. 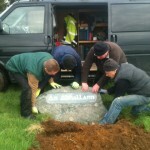 The local name Oulart is derived from the Irish word Abhallghort meaning Orchard and it is here celebrated with the first Abhallann in the land. 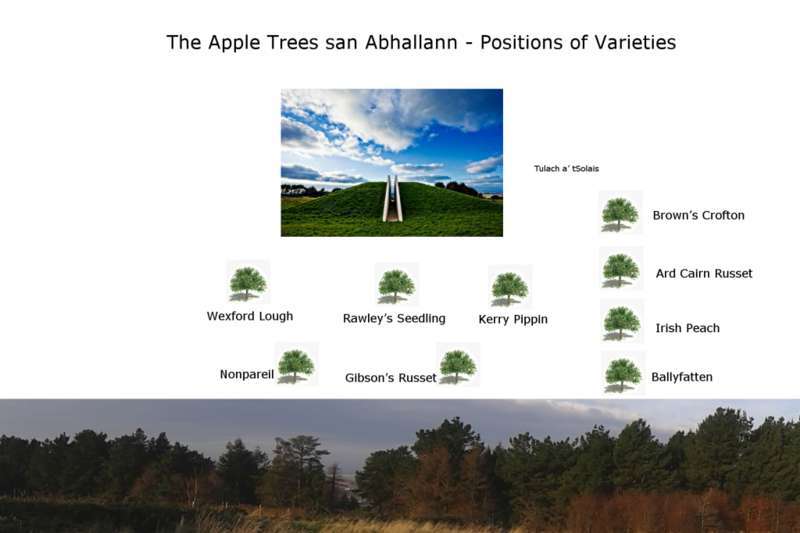 Indeed the word abhallann itself is a first as it is a new word for the Irish language – coined for the occasion- meaning apple arboretum. 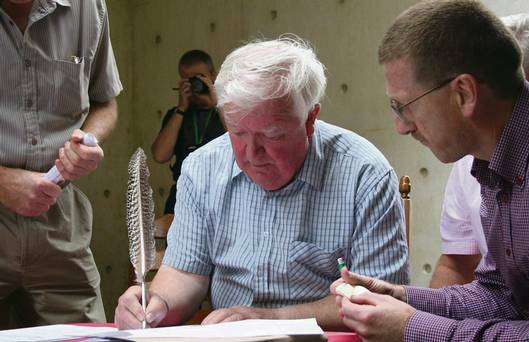 [Pronounced ‘owlin’ – like surname Howlin without the h]. 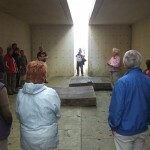 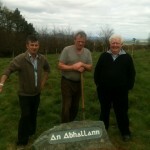 The planting of the new Abhallann was marked with the erection of a dedicated stone marker. 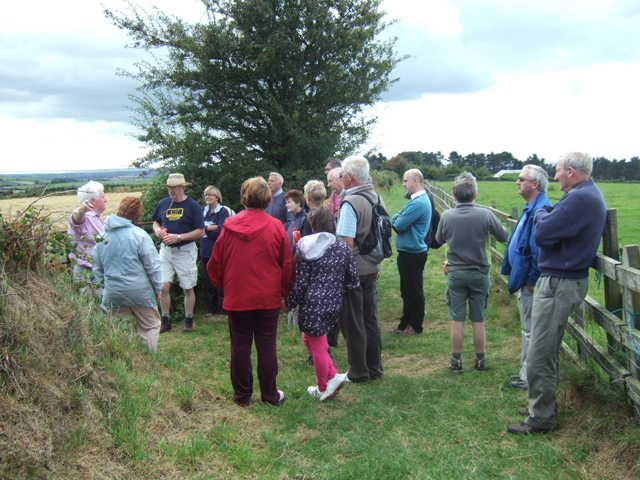 A fitting coincidence was the arrival of the 3rd Battalion from Steevens Barracks, Kilkenny on a tour of the 1798 sites in the area. 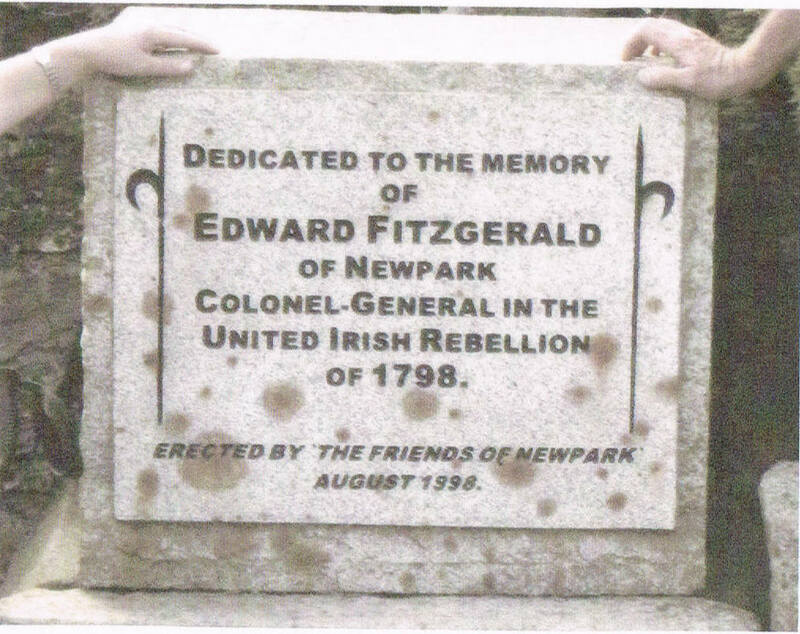 Many of the people present were direct descendants of those that took to the hill on that historic day of 27th of May, 1798. 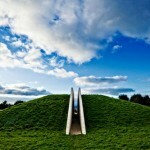 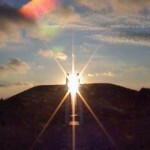 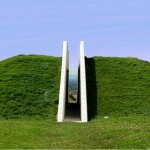 For some background on the woodland on Oulart Hill, the following is a piece taken from Coillte’s website. 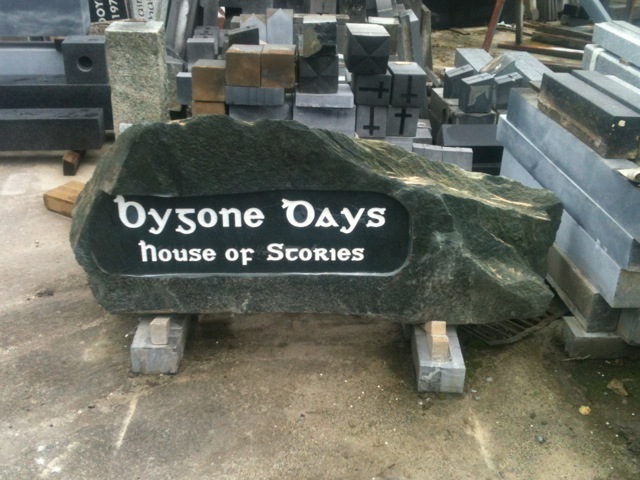 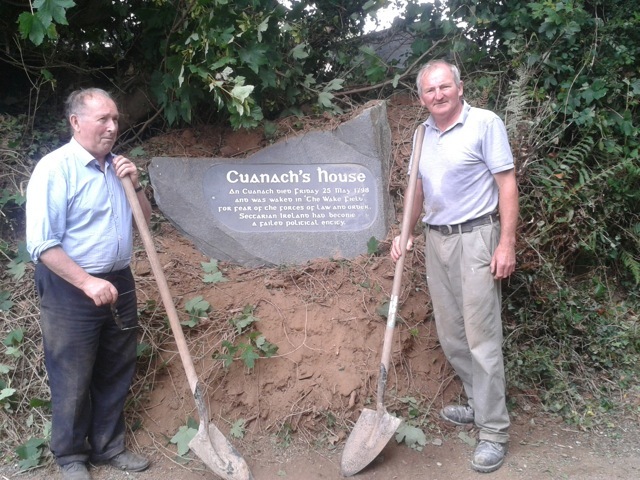 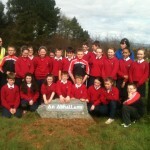 One special block is dedicated to the children of the host parish of Oulart itself, particularly those born in 1998. 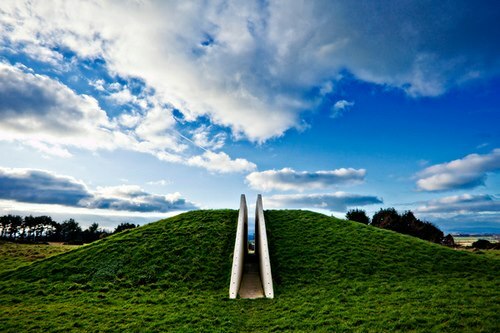 The name Oulart, which comes from the Irish word ‘abhallghort’ meaning orchard, is reflected in a border of crab-apple which grows wild on the hill. 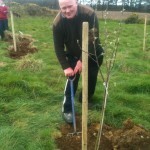 Each of the woods, which vary in size from 0.2ha up to 1.2ha, are planted with different species of broadleaves e.g. 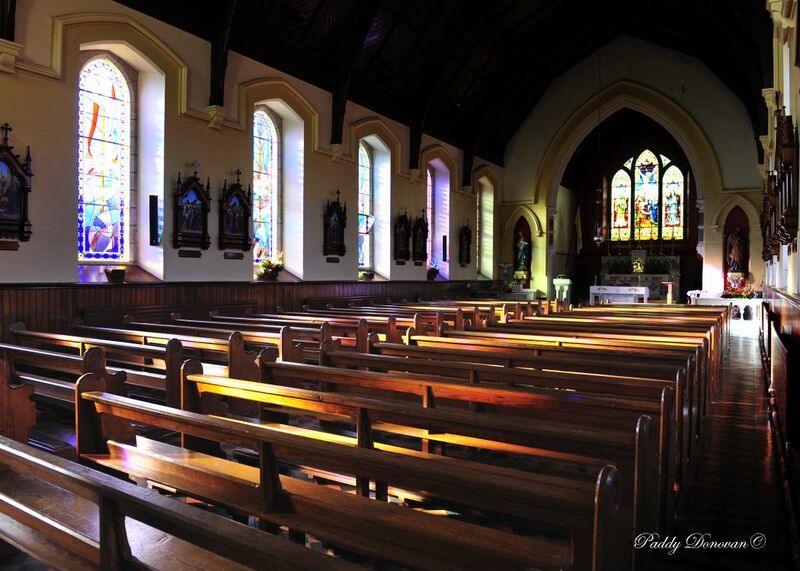 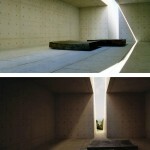 oak, beech, maple, ash, wild cherry and, eucalyptus to especially represent Australia.